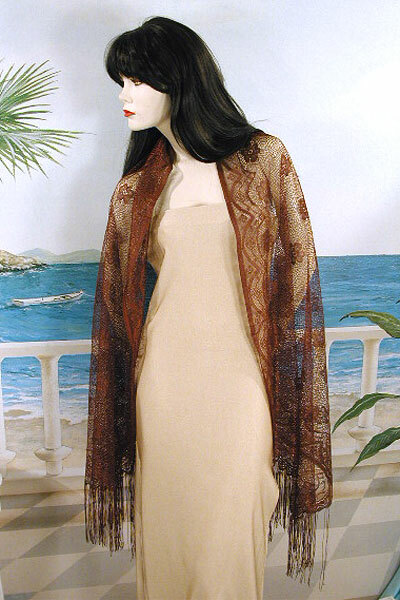 Large Oblong Shawl with Lace Design Large rectangular lace shawl. This is a long shawl with a flower design through out. It is sheer and lightweight and provides warmth in the winter and comfort in the summer. It is a great wrap for both day and evening wear. The versatile design works well at a garden party or out on the town. Color: brown Hue: Code: #6A4D00. Measurements: width 30", length 59.